Autonomous cars are already being tested on the streets and it looks like crewless ships will follow in the water, we believe at Gosling Insure a Boat. Rolls-Royce, which is working on autonomous technology in the maritime sector, envisages a remotely-operated local vessel being in operation by 2020 and a remotely-operated autonomous vessel in international waters by 2025. Fully autonomous unmanned ocean-going ships could be around by 2035, it says. In Japan, shipping companies are working with shipbuilders to develop self-piloting cargo ships, which could also be in service by 2025. In the Baltic Sea, the One Sea ecosystem project, founded in 2016, is aiming to enable fully remote-controlled vessels in three years and to achieve autonomous commercial maritime traffic by 2025. Meanwhile, on a smaller size scale, one of the most ambitious timelines involves an effort by Automated Ships and Kongsberg Maritime to build Hronn, the first unmanned and fully automated offshore supply vessel, and have it on the water in 2018. Clearly, the technology behind such vessels is developing rapidly, including advances that will allow ships to be controlled remotely or operate autonomously. This could enable ships to monitor their own health and the environment around them, potentially making decisions based on that information. Indeed, the potential use of automation goes well beyond the vessels themselves, stretching the entire length of the cargo movement chain. “Autonomous technology has the potential to revolutionize the movement of cargo on a scale not seen since containerization was introduced some 50 years ago,” says Captain Andrew Kinsey, Senior Marine Risk Consultant at AGCS. There are many potential benefits to be gained from autonomous shipping. Human error often plays a major role in incidents at sea. It is estimated that 75-96 percent of marine accidents can be attributed to human error. In addition, AGCS analysis of almost 15,000 marine liability insurance claims shows that human error is behind 75 percent of the value of all claims analyzed, equivalent to $1.6 billion. Given the role of human error in maritime incidents it is assumed unmanned vessels could be safer. At the same time the risks inherent in having a crew, such as injury or loss of life, will be significantly reduced or even eliminated. Then there is the potential to improve both efficiencies and productivity by saving on crew and fuel costs. The current shipping market, affected by a global downturn, faces various challenges. Crew costs can vary from around 10-30 percent of ship-owners operating expenditure (OPEX), depending on the type of vessel. An unmanned ship could free up more space for cargo in place of accommodation and crew support systems. The introduction of designated automated shipping lanes could make logistics easier, increasing the reliability of cargo transport. It has even been suggested that automation could result in a decline in piracy incidents as there is no crew to be used as leverage for ransom. However, the piracy threat is ever-evolving and there is already evidence that pirates have been abusing holes in cyber security to target specific cargoes, so the cyber security threat could actually increase in future. Autonomous shipping is likely to be phased in over time, as there are many legal and regulatory issues that need to be resolved. For example, maritime law and conventions were not drafted with crewless ships in mind and currently require vessels to have crew and a master on board. 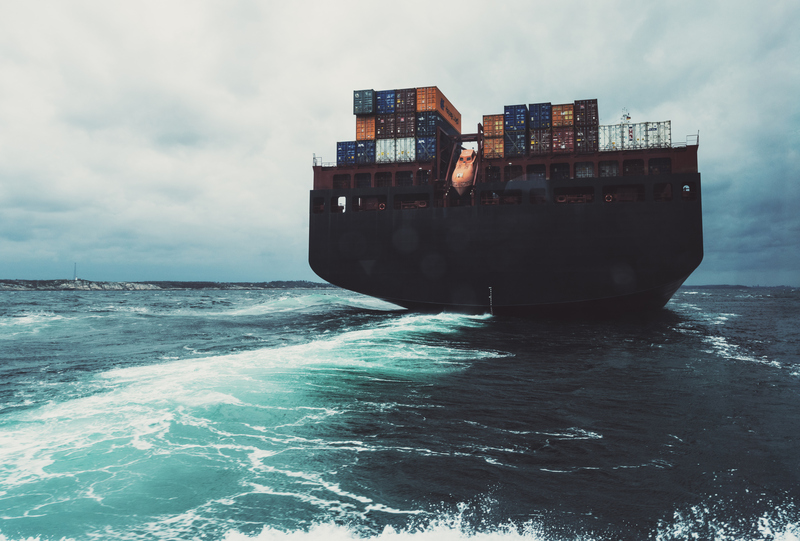 The International Maritime Organization said recently it would start exploring how existing international regulation could be applied to autonomous ships. “Yet despite unknowns and regulatory issues, autonomous shipping will happen. It’s just a question of when and how. And it is possible that the current economic pressures on the shipping industry and the need to find efficiencies, could even support and speed up developments in maritime automation,” says Kinsey. Yet the list of risk factors under consideration remains a long one. For example, only large vessels routinely have tracking devices today, raising questions about the potential for collisions between an automated ship and smaller vessels. Another challenge will be assessing the risk of an environmental disaster. Without a crew, a disaster-containment response team may be hundreds of miles away. Then there are potential issues around cargo management and safety in the absence of crew; fire protection; stability, draft and hull integrity and security; and cyber risk – which many believe will increase. For example, if an incident occurs on an unmanned vessel, such as a spoofed GPS signal, how long will it take to discover what is happening? The cyber security platform has to become more robust given the large amounts of data transmitted – especially for unmanned ships. “Fully automated shipping may be possible from a technical perspective, but on a global scale it may not happen given the navigational challenges of entering ports and congested routes, as well as the challenges of operating in storm conditions. It is hard to see how vessels can operate without crews to deal with emergency situations,” says Chris Turberville, Head of Marine Hull & Liabilities, UK, AGCS. Human intervention also averts incidents. Technology will have an increasingly important role in improving safety and performance in the maritime sector in coming years. Autonomous vessels are likely to prove safer than today’s vessels, but widespread use in merchant shipping is probably decades away with initial take-up predicted to focus on smaller ships engaged in near-coastal voyages, including small island ferries, tugboats, barges and supply and service vessels. For example, telematics are already successfully deployed in the automotive sector, improving driver behavior. The shipping sector could also benefit. AGCS is in the early stages of working with shipowners to utilize Voyage Data Recorder (VDR) analysis to improve safety. By analyzing VDR output it is possible to identify and influence the behaviors that drive risk. Information from VDRs is already being used in accident investigation, but important lessons can also be learned by analyzing every day operations, with the insights being fed back into training. Eventually, VDR analysis could become standard practice, informing risk management decisions and potentially reflected in insurance premiums. If you need insurance for your smartboat, contact us here.